Anaerobic digestion is the natural biological process which stabilizes organic waste in the absence of air and transforms it into biofertilizer and biogas. Almost any organic material can be processed with anaerobic digestion. Anaerobic digestion is particularly suited to wet organic material and is commonly used for effluent and sewage treatment. This includes biodegradable waste materials such as waste paper, grass clippings, leftover food, sewage and animal waste. Large quantity of waste, in both solid and liquid forms, is generated by the industrial sector like breweries, sugar mills, distilleries, food-processing industries, tanneries, and paper and pulp industries. Poultry waste has the highest per ton energy potential of electricity per ton but livestock have the greatest potential for energy generation in the agricultural sector. Anaerobic digestion is particularly suited to wet organic material and is commonly used for effluent and sewage treatment. 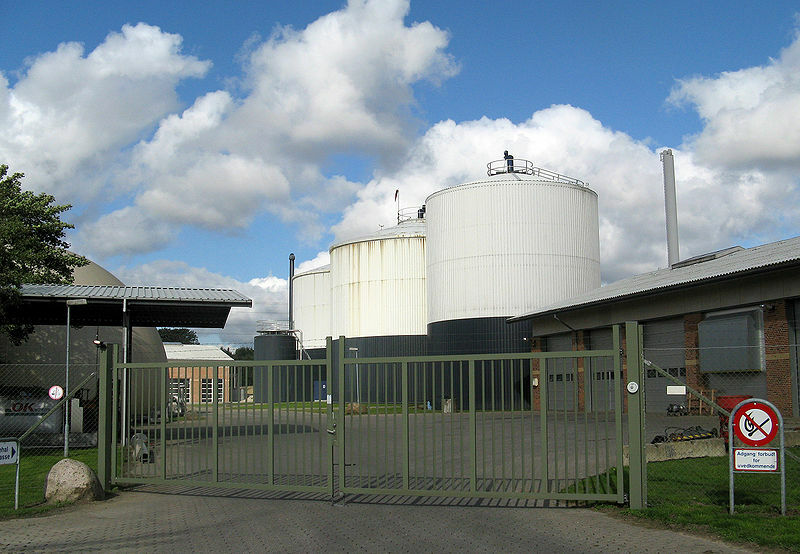 Almost any organic material can be processed with anaerobic digestion process. This includes biodegradable waste materials such as waste paper, grass clippings, leftover food, sewage and animal waste. The exception to this is woody wastes that are largely unaffected by digestion as most anaerobic microorganisms are unable to degrade lignin. Anaerobic digesters can also be fed with specially grown energy crops such as silage for dedicated biogas production. A wide range of crops, especially C-4 plants, demonstrate good biogas potentials. Corn is one of the most popular co-substrate in Germany while Sudan grass is grown as an energy crop for co-digestion in Austria. Crops like maize, sunflower, grass, beets etc., are finding increasing use in agricultural digesters as co-substrates as well as single substrate. A wide range of organic substances are anaerobically easily degradable without major pretreatment. Among these are leachates, slops, sludges, oils, fats or whey. Some wastes can form inhibiting metabolites (e.g.NH3) during anaerobic digestion which require higher dilutions with substrates like manure or sewage sludge. A number of other waste materials often require pre-treatment steps (e.g. source separated municipal organic waste, food residuals, expired food, market wastes and crop residues).